When creating or editing content, you now have the ability to Send Now and Save to your Library. 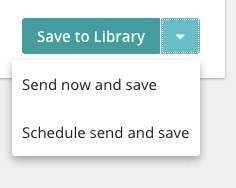 To use this feature, just click on the arrow icon to the right of the Save to Library button and select this option when saving your content. When you Send Now, your item will be added to your Queue and automatically published one minute later. After it posts, it’ll remain saved in your Library. Where's the option to "Send at a specific time and date"? If you’re looking to schedule your post for a specific date and time, you’ll now find that option in the new Save options dropdown, too! Try it — add new content to Send Now! We’ve given the History page a facelift, and you can now see how many times an item has been sent plus click stats at a glance. Are you a fan of a/b testing and split tests for improved content marketing performance? Individual Performance History pages have been revamped, and you’ll find a new section titled Content Performance where you can view and compare click stats for your variations. Easily see which content variations are doing well, and which ones aren't. This update to how we display content history means it's now a lot easier for you to make decisions about what to keep, what to ditch, and what to improve! 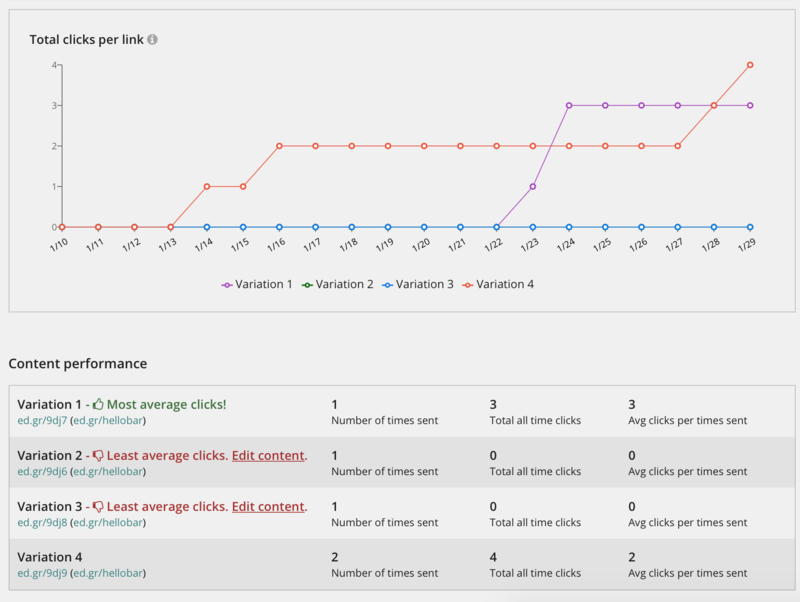 *Note: click stats are only available when you use the default link shortener (ed.gr) or connect your own Rebrandly account.